I think I was pretty close with most of them. I had to get creative with a few – a horn for the Vikings, a Pegasus for the Jets and a centaur for the Giants. I used a griffon for the Seahawks just for fun, and a few I had to just use a helm and the team colors. 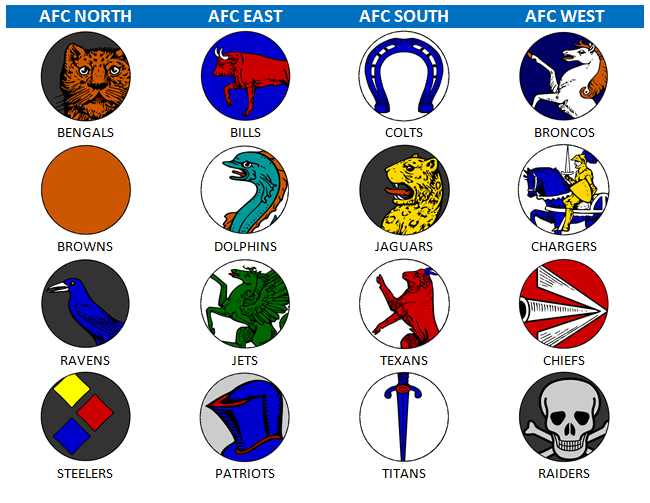 I think the Dolphins is my favorite. Just a bit of fun this morning. I’m almost done writing the next hex crawl, the football article is about halfway finished, and then a few more articles and some art to commission and NOD 25 is ready to roll! Back to work today (real work, where I get a paycheck), and I thought I’d get the first post of the new year knocked out before I have to get down to business. When I was but a young slip of a boy, I was obsessed with three things: Star Wars, World War Two, and Football. I was the original football geek – knew all the stats, knew the team histories, watched the games (rooted for the Steelers first and then the Raiders – I was a Las Vegas kid, so I didn’t have a home team to root for), etc. While I had never heard of D&D, I was already a gamer at heart. One summer, I invented my own football league. Lots of teams organized into conferences and divisions. Teams like the Las Vegas Aces, Billings Mountaineers, New Jersey Battleships (there’s my WW2 obsession leaking through), Jacksonville Oranges, Birmingham Yellowhammers, Canton Bulldogs (I was retro before retro was cool), Georgia Peaches and my personal favorite, the Ottumwa Hogs (my family hails from Ottumwa, IA, thus the placement of a professional team in such a small market). 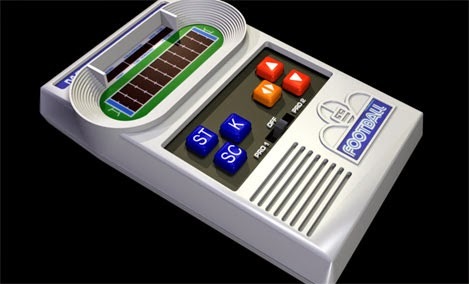 My brother-in-law gets me that electronic football game. 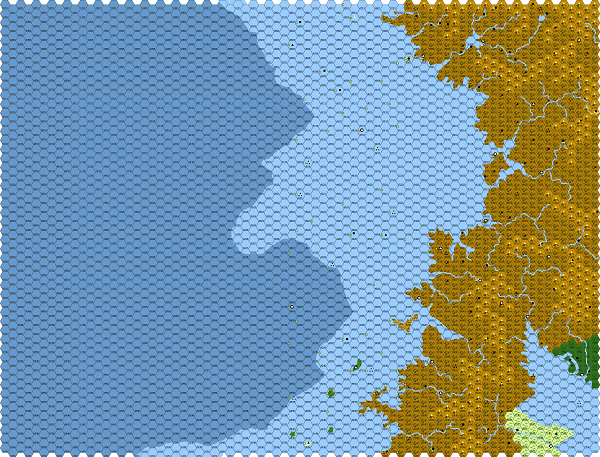 I start playing with it, and realize quickly that all those game scores I’m generating are going to waste. 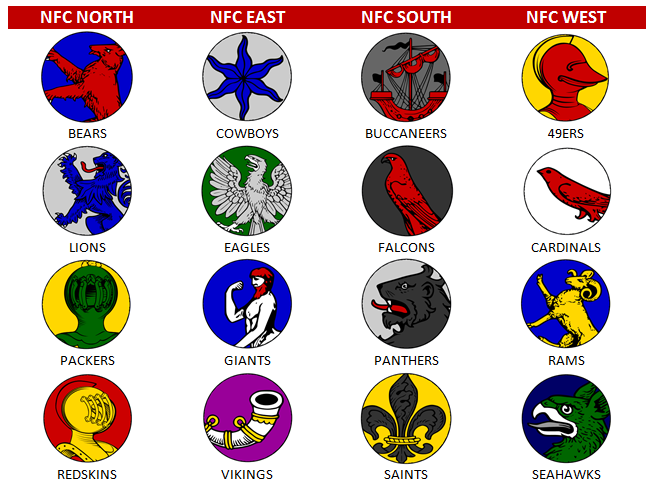 What if I resurrected those old pretend football teams, plus a few others, and made a sort of tournament. Yeah. A tournament. Four conferences – North, South, East and West. Eight teams per conference, so a round of games, then conference playoffs, then conference championship, then league playoffs and league championship. Oooh – what if I make a random table for determining off-season stuff, like teams folding or moving to new cities or picking up or losing star players. Yeah – star players. They can give bonus offense and defense rolls that change the final score of the electronic games. AND – I can grab demographics on the different MSA’s in the US (metropolitan statistical areas) and the different stadiums, and come up with a random way to determine attendance and TV viewership and generate money earned for each team. Then they could spend money to build the teams even more. Now I’m trying to figure out how to put together a pen & paper version of this, a little more in depth. So, that’s what I did with my Christmas vacation, along with writing about half the next issue of NOD (which will cover the Klarkash Mountains) and finishing up the first draft of GRIT & VIGOR.